You can find this page in “FrameWork“ -> “More (three dots)” -> “Tips”. If you have any questions, suggestions or bugs, you can sending email to me in “FrameWork“ -> “More (three dots)” -> “Contact Me”. Or sending email directly to codingallnight@gmail.com. Or you can @ me on Weibo @我的眼里只有代码 or Twitter @meilbn. Backdrop can set with many types, Clear Color only available when screenshot save as PNG (you can change it in More). 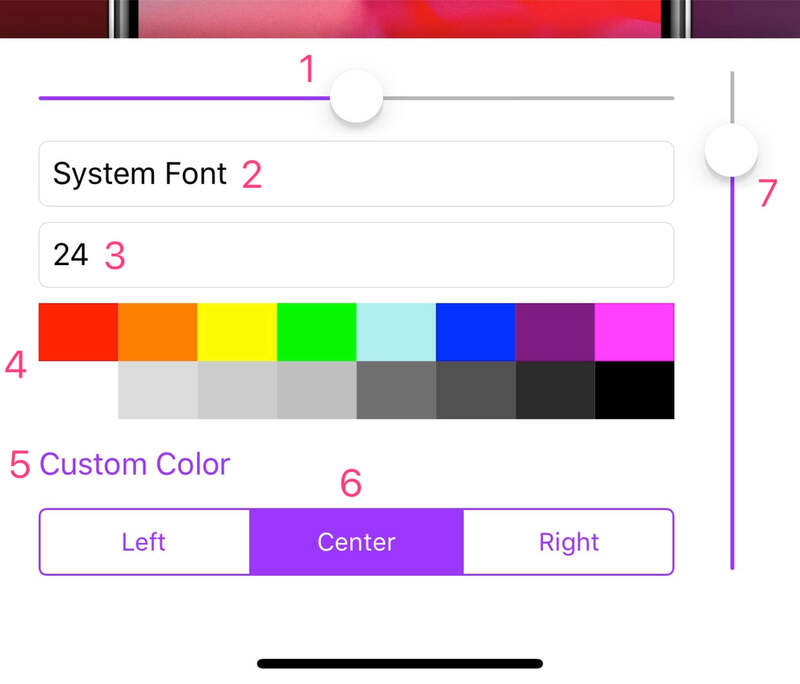 Just support three colors currently, because I think gradient will be ugly if color greater than three. Color can long press to reorder, click color to modify. Set title’s left and right margin, slide to left will decrease (title can be long, maybe font will bigger), otherwise will increase (title will be short, maybe font will smaller). Change title’s font, click can change and preview. 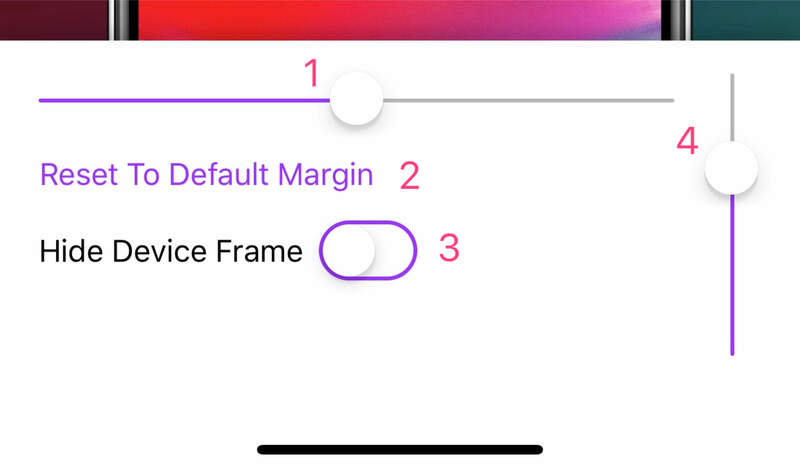 Set device’s left and right margin, slide to left will decrease (device will bigger), otherwise will increase (device will smaller). Hide device, just screenshot left. ps. Please use the second button on the bottom toolbar to change device’s color.